Hypnotherapy is Effective to Overcome any Phobia or Fear! 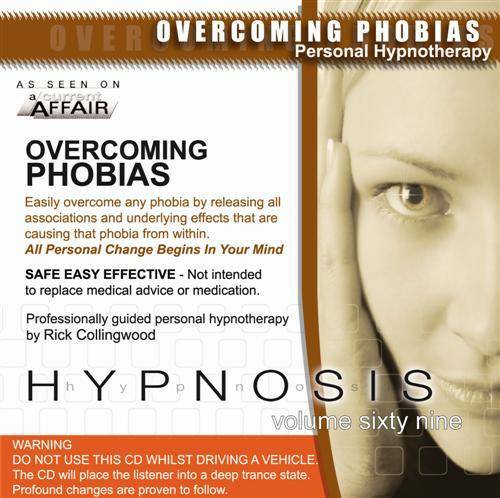 This self hypnosis CD is to directly remove any phobia or fear from your life. Hypnotherapy is an extremely effective means of removing fear because it directly addresses the driving emotions from within that are manifesting that particular phobia. This recording will help you release negative emotions and connotations to free yourself from the burden and embarrassment of certain phobias.